If you sit in a small office or cubicle each day of your working life, as I do, you know that you have to make the best use of that small amount of real estate. 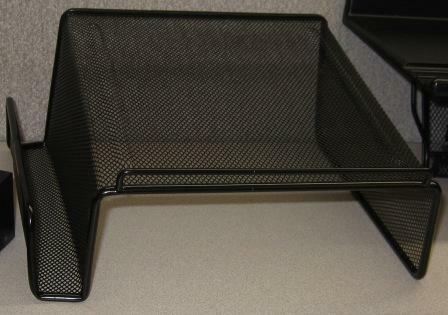 I have done this repeatedly with my cubicle shelves, desk shelf, and hanging letter tray. 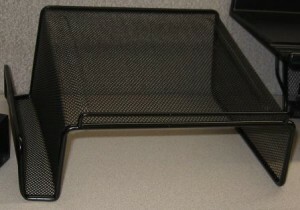 All of these cubicle accessories I have utilized to maximize the limited amount of space that I have in my office. 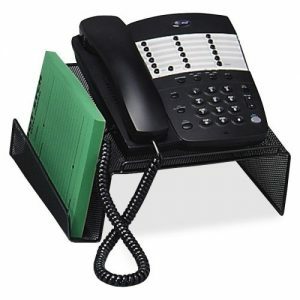 Recently I made a purchase of a Sparco mesh phone stand for my office cubicle and it was the perfect cubicle accessory for my office phone. 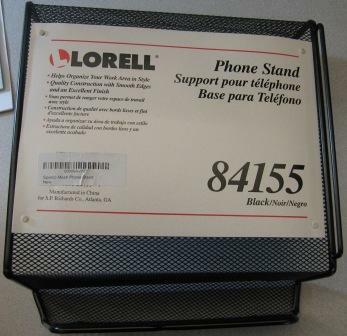 The phone stand is made out of black mesh metal which is very solid and attractive looking. 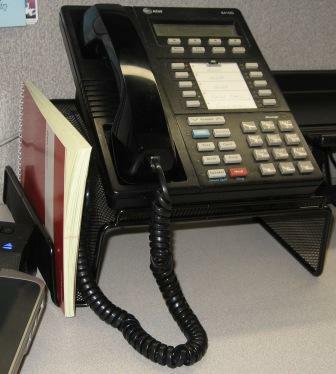 One of the cool features of this phone stand is that it also comes with a side compartment which is perfect for my notepad which I carry around with me to meetings or take notes at my desk (see images below). The other feature, which is basically why I purchased it, is that it elevates the phone about 4.25” and leaves plenty of space underneath for any office accessories that you can fit in there. I place an extra tape dispenser under there and a stapler but there is still plenty of room for other items should I wish to store them there. before I bought my Sparco mesh phone stand. and I haven't maximized my desktop space. Here's the phone stand without the label. Sparco mesh phone stand with my phone and notepad with nothing underneath. Here's the accessory right out of the box. Phone stand in place before adding my phone. my notepad in the side compartment. 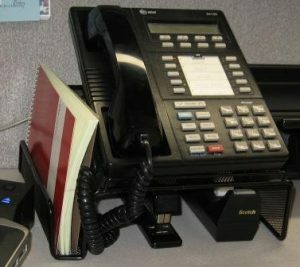 If you are like me and try your best to make your work space the best that it can possibly be, you may also want to add a phone stand to your own office. 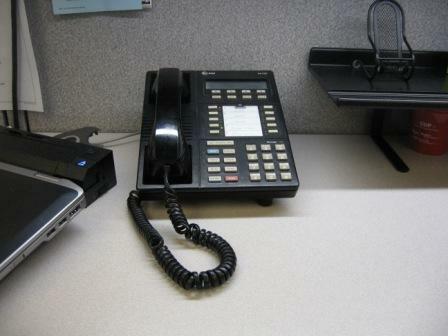 Making the most of your small amount of space with the best looking and practical cubicle accessories, will make a difference in your working life. 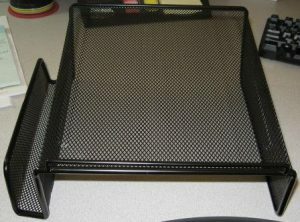 Every little bit helps and the Sparco mesh phone stand is one of those small changes you can make that will add to your working environment.